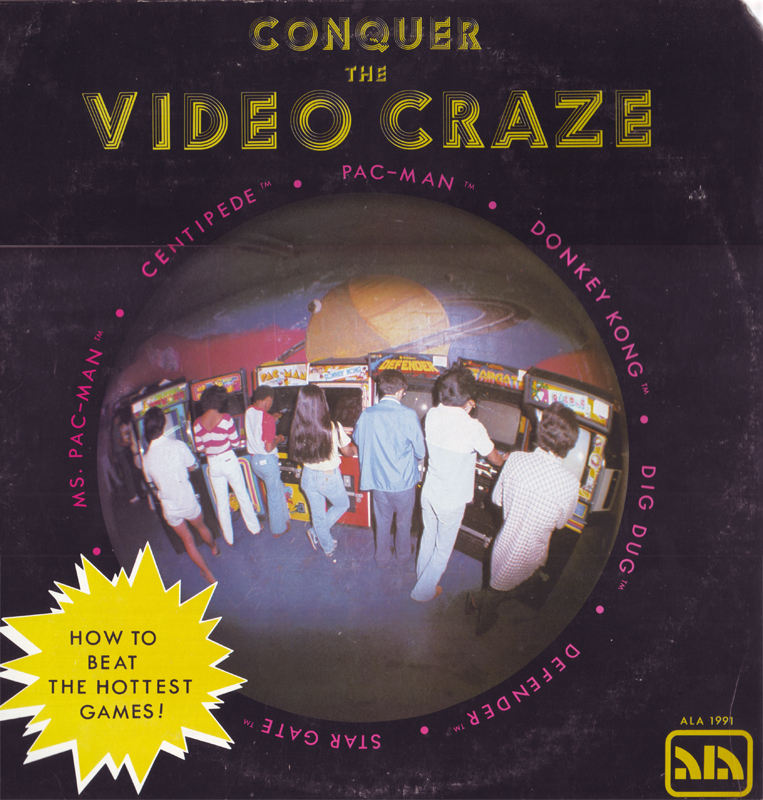 Conquer the Video Craze was issued in 1982, at the height of arcade games’ popularity. Over a background of ambient arcade noise, Curtis Hoard, “Atari Champion finalist”, reads convoluted game tips in a slow nasal monotone. I’ve not been able to find out much about Hoard; most of the search results point to articles about a different Curtis Hoard, a sculptor of some renown at the University of Minnesota. Perhaps this fellow’s father? One of the few links I found about this Hoard says that he graduated from Alhambra High School in California in 1981. Perhaps he knew David Wills (“The Weatherman” from Negativland), who also attended around that time. There are few games in the marketplace that Chris has not mastered. He has extensive experience at playing video games and diciphering [sic] their patterns and techniques of play. His analytical mind automatically envisions patterns and virtual line drawings of the games. He currently logs more than 8 hours of play per day and has been coined by his peers and friends as the “Human Video Game”. The label, ALA Enterprises of Los Angeles, is similarly obscure. They issued a motley grab-bag of products in the late-1970s–early-1980s, including bootlegs of Memphis Slim and Canned Heat; “Dungeon Key”, a cassette game for the TI-99/4a computer; and film composer warhorse Alan Silvestri’s soundtrack for blaxploitation flick The Mack and His Pack. I’ve always thought that between the subject matter and Hoard’s slow talking, this would make great sampling material; just snip off the introduction where he says the video game’s name, and you have a man saying things like, “As a beginner, it is better just to kill everyone as fast as you can”, utterly deadpan. At least one DJ, Canadian Kid Koala, had the same idea.